Researchers presented a new study at the 2018 American Thoracic Society medical conference. The conference abstract supported a poster, but there was not a podium presentation. The poster reviewed coal miner’s claims for federal black lung benefits since 1970 due to progressive massive fibrosis (PMF). The client wanted to highlight the data from this article for their Medical Affairs team. The team is currently supporting various products focused on lung diseases. A Phase II trial is ongoing for a related condition, sarcoidosis. The current study was the focus of the training. The audience is remote, and the customer required that instruction be responsive so learners could access the information when they were on mobile devices. The material should be visually appealing and contain an emotional pull. The training would allow the user to move through in a non-linear manner. At the end of the module, an assessment will gauge knowledge and ability to apply the information in a field interaction. Learners with non-passing scores were referred back to elements of the training that they needed to review. In this case, the conference abstract and poster provided our primary data source. This is preliminary data as presented at a medical conference that may change in later publications. There is no peer-reviewed journal article, but Medical Affairs teams still need to be aware of newly unveiled data. The client had subject matter experts (SMEs) available to answer specific questions and review the flow of the planned content. Therefore, we reviewed the conference abstract information, reached out to authors with questions, and evaluated reports coming from the conference for additional quotes that could be used to provide interpretation and viewpoints on the data. If the client were interested in a more in-depth review, we would have reviewed journal articles on the topic to demonstrate incidence, prevalence, pathology, treatment patterns, therapeutic options, etc. Reports authored by the US government regarding coal worker’s pneumoconiosis can also be accessed. 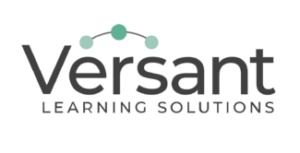 Versant Learning Solutions can provide conference contact that your audience will be happy to consume! Data presentations from conference proceedings are often written in text format. Timelines are tight, it is hard to get high-quality images, and sometimes data from abstracts doe not correspond to data in the poster. Final determinations of what corporate-sponsored content can be shared and distributed in the field may be quite conservative compared to academia. Short eLearning module (microlearning) with the core data presented at the meeting. Links were available to other resources in the learning environment. The above details some of the ways that we were able to make the content more emotionally powerful. Based on a conference report, we created training material for rapid deployment. MSLs can share content with providers in the field as a way to demonstrate leadership and expertise in the area of fibrosis. When a provider asks ‘What’s new?’, the team member can lead with this new data to gauge HCP interest. Team members identified instances when scientific exchange included this subject in their CRM. Reports were forwarded to the Sr. Director of Field Medical Affairs and the Medical Director. Data from conferences is often incomplete but can still be the basis of a unique and engaging learning experience.